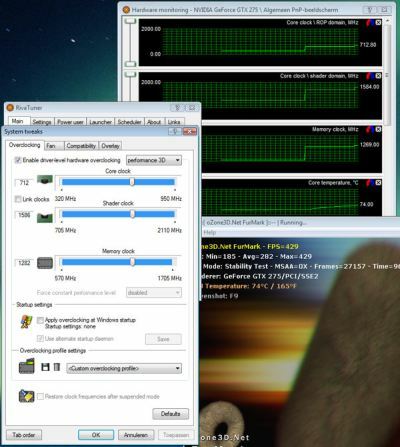 Guru3D offers us a GeForce GTX 275 Overclocking Guide. There are two main phases in overclocking. First phase, find max frequencies that allow a stable overclock. For that, Guru3D recommends and uses RivaTuner and FurMark. Second phase, validate the overclock with video games (Far Cry, Crysis). Zotac will release soon a GeForce GTX 275 with a 5-pipe VGA cooler made by Arctic Cooling, the Accelero XTREME. 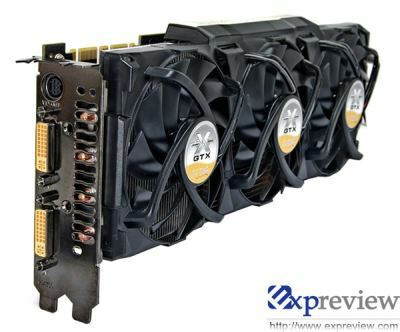 This GeForce GTX 275 will have a core/memory clock of 633/2268 MHz (reference frequencies). In its side, Asus has announced a GeForce GTX 275 (ENGTX275) with Fuse Protection Technology. The card will have 3 sets of fuse to protect the components against overloads. Ok that’s cool but how do we replace the fuses when they will have done their job? In the picture, I think the fuses are the small white-yellow components with 8A (8 amperes ?) stuck on them. Traditionally, graphics cards are equipped with controllers for over-current protection. 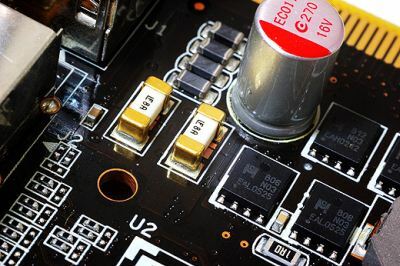 If these controllers malfunction, an over-current can seriously damage components on the card, resulting in a significant or even total loss of performance. The ASUS ENGTX275 Series is just the first of ASUS’ graphics cards to come equipped with a second over-current protection device—Fuse Protection, that eliminates any chance of an excessive or dangerous temperature rise in the conductors on the graphics card. With three sets of input fuses present on the circuit board of the ENGTX275/HTDI/896MD3, at least one of these sets will “break” to interrupt the flow of electrical current if the over-current protection controllers malfunction. With this double protection, users can enjoy risk-free and long-lasting computing—only with ASUS graphics cards. More information about the GeForce GTX 275: GeForce GTX 275 @ Geeks3D.